When you’re pregnant, people excuse you those many lapses of memory and cognitive function. They call it ‘baby brain’. When you still can’t figure out which way to turn a tap on when you’re nursing your newborn, they still call it ‘baby brain’. When you have three kids in tow, and you can’t remember which bag you put your keys in, then you may still be suffering from the phenomenon! Being an organised mum can help. This ‘baby brain’ thing they talk about strikes parents down a lot. Sometimes it’s caused by dramatic changes in hormones, like when you’re pregnant. Other times it’s caused by a lack of good solid sleep, like when you’re nursing your newborn. Most of the time, it’s caused by simply having too many things to do and not enough time to get it all done. Your mind cannot multitask, so you find that you are forgetful, confused, or just plain daft several times a day! One of my favourite things to talk about is organisation and sanity saving. The two go hand in hand really. If you are a meticulously organised mum, the forgetting and confusion disappear, thus saving your sanity. 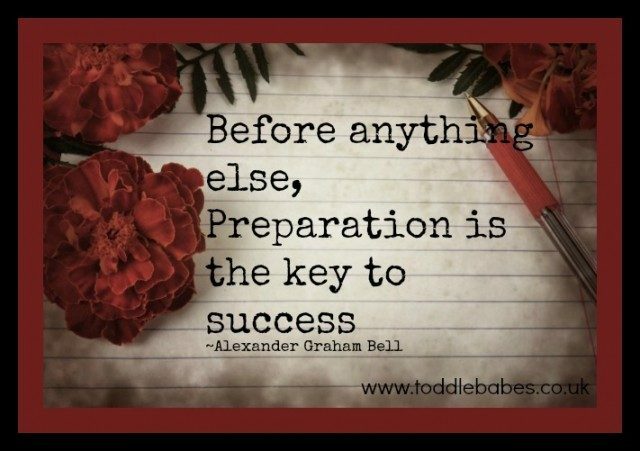 Getting to be an organised mum takes time, patience and clarity. It’s something to work on when the kids are in bed asleep and you’re not about to drop from exhaustion yourself. You can organise pretty much anything in your life. Meal plans lead to detailed shopping lists, recipes and ensuring everyone is fed a healthy meal every night of the week. Detailed budgets based on past expenditure help you keep the household finances on track. They can even help you start saving up for the next big thing in your lives. Daily schedules in your calendar help everyone get where they need to be in plenty of time. I like to use a weekly whiteboard where all activities for the week are written down and easy to see at a glance. Everyone knows what everyone else has on, on any given day. Using little alerts on your phone or your email account help you to keep on track. I fill my phone calendar with alarms. The children know when they hear the alarm at 8:25 that it is time to brush teeth, get on school shoes and get ready to leave for the day. I also have alarms for dance classes, gymnastics and school pick up time. These little reminders keep us running on time and the children just go along with whatever the alarm is signalling, saving me from chasing them along and reminding them every step of the way. Using a family calendar on our phones, we keep track of each other’s appointments and make sure we don’t arrange clashing activities. This saves time when I’m arranging outings or activities because I don’t have to text everyone to find out if there are prearranged events already on various days. The kids can also check if we are free and then request to meet up with friends etc. In our home, we like to use charts for morning, after school and evening routines. My children can go through their checklist and do what comes next. This means they can do their daily routine independently and efficiently which gives them a sense of achievement and it means that I don’t have to remember who does PE on which day, who has French class and who has clarinet lessons. I have noticed that when my children feel organised and on time, that they have a better day at school too. Putting a printed list near the bedroom door or the house door gives the children independence and helps build a sense of responsibility. Routine and regular times for meals and bedtime are enormously beneficial for your children too. If they are in the bath by 6pm, I know I can have a couple of hours in the evening. Routines free me up to get the some tidying done, prepare lunch boxes, and keep up my skincare regime or paint my nails! The kids know their bedtime routine starts with a bath, then brushing teeth and finally bedtime stories. It really does help them fall asleep more quickly. I never have arguments over bedtime because I have stuck to the same pattern with my children from a year old. Sure, they chance it sometimes and ask to stay up later than their bedtime, but it is never a real issue as they are so programmed to the time schedule that they are actually ready for sleep by the time bedtime comes around. Getting up in the morning is hard when you’re tired, but having your own bedtime routine can help you wake up refreshed too. I like to put everything needed for the following day , at the front door. I also make sure my bag has everything in it that I will need. There is nothing that irks me more than having to search for things when you don’t have the time. When using a buggy, I suggest you keep your handbag on a buggy clip so you can slip everything inside. It saves you getting in under the buggy to find things too, keeping everything right by your hands. Quick access to tissues for a runny nose, or a plaster when he trips over, helps you keep on track. It is also handy for holding shopping bags. My older children like to use it to clip their school book bags onto the buggy so that they don’t have to carry them home. There are plenty of ‘life hacks’ out there for making everyday tasks easier. The key to good organisation is sticking to them! Know what works well and plan for them in your day. Shaving off twenty minutes a day with helpful tips and becoming an organised mum means you have twenty extra minutes for putting your feet up. And who wouldn’t want that!? Follow ToddleBabes’s board organising my life on Pinterest.